2013 Ford E-350 Super Duty XLT! Buying a vehicle can be a stressful time. WE CAN HELP make it worry free and easy. Hurry on this one! Marked down from $32988 - you save $6600. The Ford Econoline has been a trusted workhorse for decades. This Econoline Wagon carries on that tradition with a versatile interior and strong drivetrain. This 2013 Ford Econoline Wagon is for sale today in Mission. Bring the whole crew along in this Econoline Wagon. With a big, powerful engine, a roomy cabin, and a highly customizable interior, this Econoline is ready for work. This full-size van can perform a wide variety of tasks for commercial use with ease because that's what it's made to do. 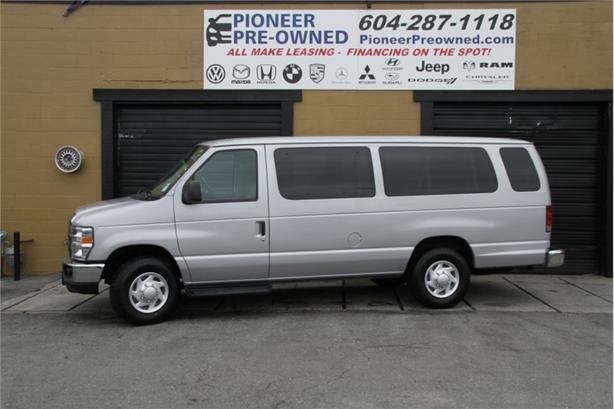 Check out this Econoline today and make it the perfect van for you. This van has 89661 kms. It's silver in colour. It has an automatic transmission and is powered by a 255HP 5.4L 8 Cylinder Engine. This vehicle has been upgraded with the following features: Air Conditioning, Power Windows, Power Locks. Our Econoline Wagon's trim level is E-350 Super Duty XLT. The XLT trim adds some nice features to this work van. It comes with an AM/FM stereo with an aux jack, cloth seats, a full-length carpeted floor, a center console with three cupholders, high capacity air conditioning, telescoping trailer tow mirrors with manually adjustable glass and convex spotters, chrome bumpers, and more. To view the original window sticker for this vehicle view this http://www.windowsticker.forddirect.com/windowsticker.pdf?vin=1FBSS3BL4DDA93832.